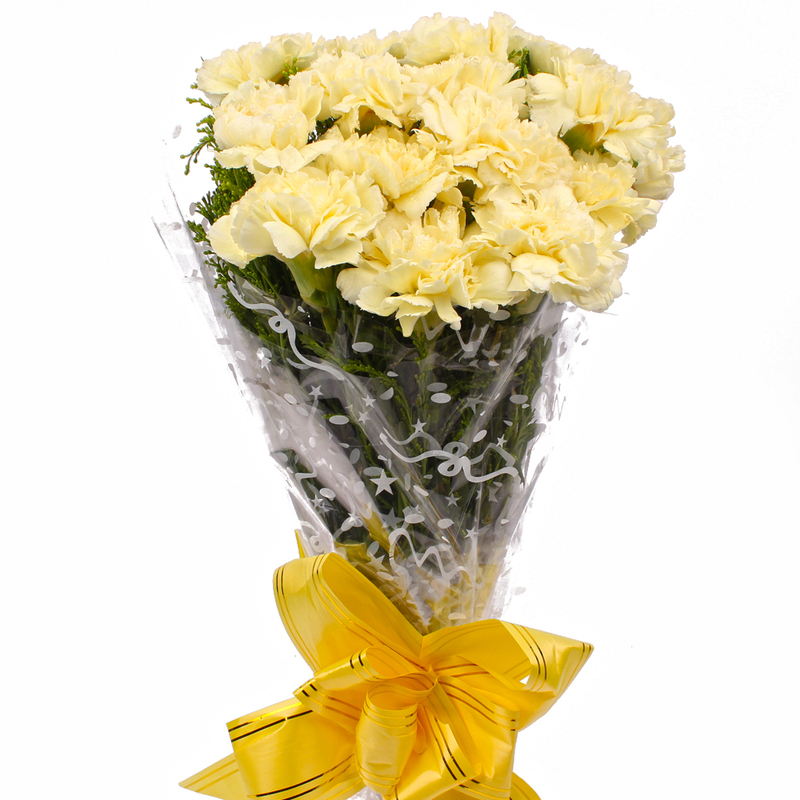 Product Consist : 15 Yellow Carnations with green fillers in Cellophane Wrapping with Ribbon Bow on it. 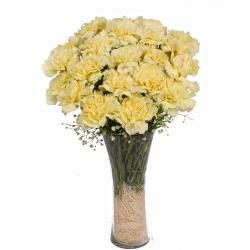 These yellow carnations look really warm and passionate and will delight any recipient. 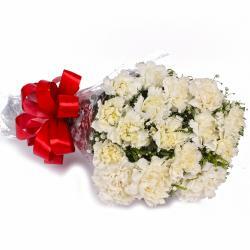 This pack contains fifteen stem and these have been immaculately packed in cellophane wrapping. 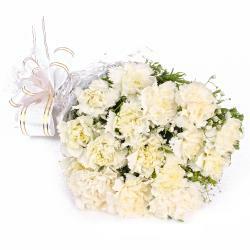 This lends a sophisticated and elegant air to the gift pack while there is a matching ribbon bow on top. This has been tied for added effect and certainly scales up the attractiveness of this gift pack. 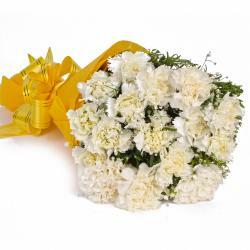 These flowers can be used as nice gifts on a variety of occasions such as Birthday, Anniversary, Missing You, Ganesh Chaturthi, Boss Day. 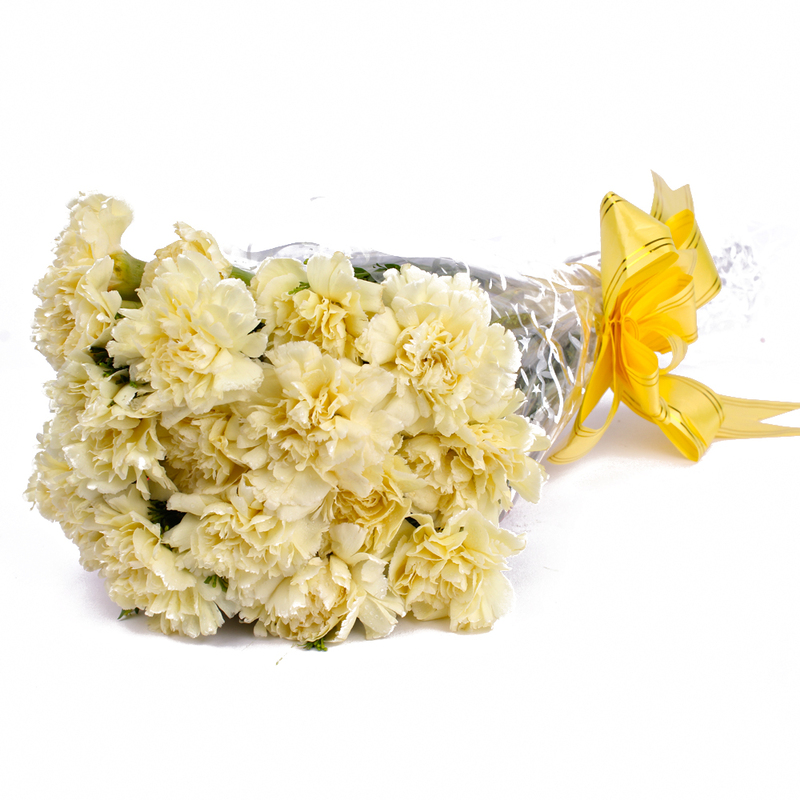 Product contains : 15 Yellow Carnations with green fillers in Cellophane Wrapping with Ribbon Bow on it.